If you are not yet familiar with the world of Sims patch notes, please allow us to make your day. Over the past few years, EA's ridiculous simulation game has been chock full of ridiculous bugs, and rather than ruin them by paraphrasing, I've rounded up the best ones right here, all taken verbatim from actual Sims updates. Fix for babysitter routing off lots with babies. Fix for a freeze that can occur when Sims attempt to clean out bad food from the fridge. Babies will no longer be born to single parents. Fixes an issue that causes Sims to get stuck in the "Grab a Slice" interaction on pizza. Fixes an issue that prevents the fulfillment of the "Buy a Video Game System" wish when buying the "GUGA JoyToy 3" and "Console 7" video game systems. Sims may now walk and stand on bridges. Dead relatives will no longer appear alive in your Sims' family trees while traveling to Egypt, China, or France. Fire Engines will now maintain all functionality after Sims drive them in Egypt, China, or France. Fixed an issue that caused Sim relationships to break when traveling to Egypt, China, or France. Sims will no longer walk on water to view paintings placed on swimming pool walls. Sims that catch on fire from the Invention Workstation can now have the fire put out when the firefighters are called. The magical laundry bear Abracadabra will no longer block Sims from moving after disappearing. Mac Only: Swimming in a pool inside a high rise building will no longer cause a Sim's plumbob to become invisible. Sims will no longer receive a wish to "Skinny Dip" with Mummies. 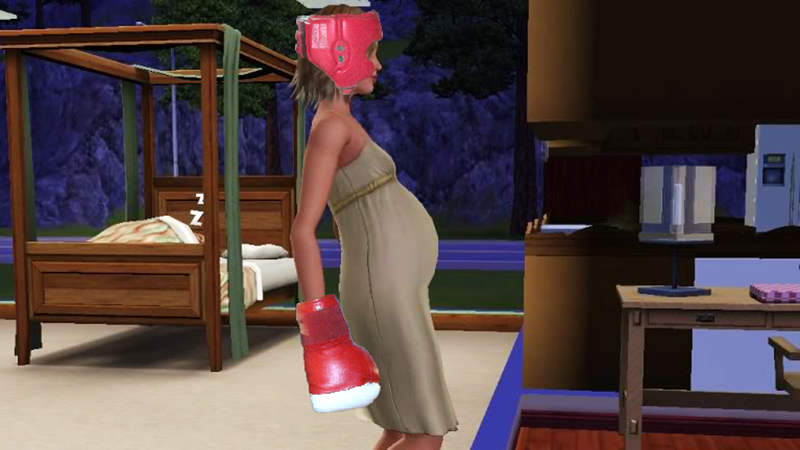 Pregnant Sims can no longer "Brawl." Toddlers can no longer get fleas. Baby Sims will no longer become stuck on a Sim's hand while driving a car. The "Throw a Teen Party" wish will no longer appear while a Teen Party is already planned. An issue has been fixed that caused Unicorns to lose their special powers when using the Make All Happy cheat. An error that causes Sims to reset when scooping a dead fish out of an aquarium has been fixed. Fairy children will no longer stretch into adult size when using the "Talk to Plant" interaction. Fixed an issue with conversion spells turning inexpensive items into expensive items. Child Sims will no longer "Play in Sand" indoors where there is no sand. Fixed issue with Baby Walker and Playpen that could cause toddler problems. Fixed an issue that could cause the Time Traveler to catch on fire and not be able to be put out. Fixed an issue that could cause a teen to be trapped in a child's body when travelling to the future at the exact moment of a birthday.